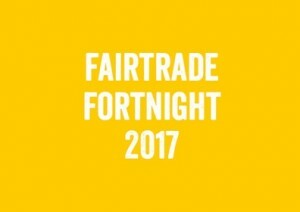 Fairtrade Fortnight will be taking place between Monday 27th February and Sunday 12th March. This year’s theme is ‘take a break’, encouraging people to take some time out to have a Fairtrade tea or coffee together (perhaps with some Fairtrade chocolate for those with a sweet tooth!). The aim of the fortnight period is to raise awareness of the plight of farmers outside of the Fairtrade system, who may be exploited in growing, processing and selling their products. The Fairtrade process aims to ensure people get paid a fair price for what they sell, and that they have safe working conditions. You can test your knowledge and find out more about Fairtrade in this quiz. At King’s we’re supporting Fairtrade Fortnight with special offers on food and drink – including a half price brownie with any hot drink and (for those looking for a healthy option) and a half price banana with any salad purchased. Medsin have organised what promises to be an interesting event “The Flipside of Pancakes: Big Food, Food Systems + Global Health” on 16th March, 6-8pm in the Gordon Museum, Guy’s Campus. • They can only afford to feed their families one meal a day. This can lead to health problems for their children such as stunting. • They can’t afford medical care and put off treatment their families really need. • They don’t have enough money to send their children to school. Lack of money also means pressure for children to work. • They can’t afford to invest in better farming. That means they can’t improve the quality of their crops and charge a higher price for them. Fairtrade exists to change this, but needs more people to know why choosing Fairtrade really matters. We want them to understand that Fairtrade means farmers get a better deal for what they grow. This leads to a better and more stable income, and can help them break the cycle of poverty they are trapped in. But many companies are only buying a fraction of their crops as Fairtrade, and even more companies aren’t buying any Fairtrade at all. Not enough companies are doing it, not enough people are buying it and not enough farmers are benefiting from it. By supporting Fairtrade, you’ll be helping to solve these problems and give farmers a better life for them and their families. Learn more about Fairtrade here and we hope you enjoy some Fairtrade food and drink over the coming fortnight, and beyond!